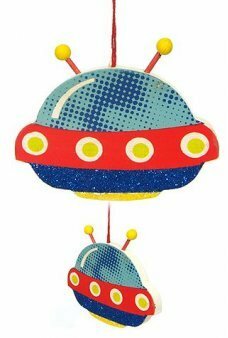 This colorful Balloon Tin Top spins into a wonderful blur. 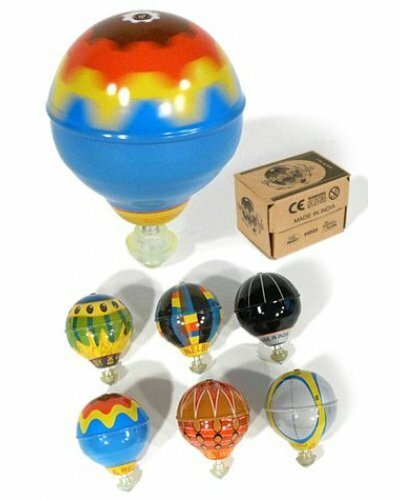 Each balloon-shaped top has a gyroscopic internal engine that spins when you repetitively “rev it up” with the rubber tip on a hard surface. 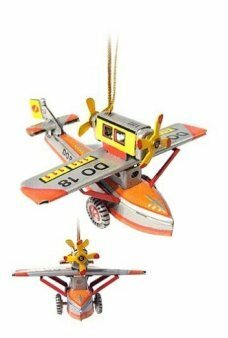 Then just let the all-tin toy balance itself on the metal tip. 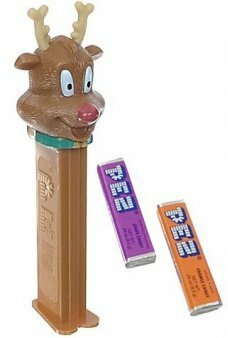 You may remember this toy as the 1970’s Whizzer. 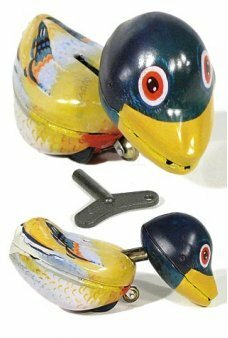 A great party favor or unique gift for your tin toy collector. 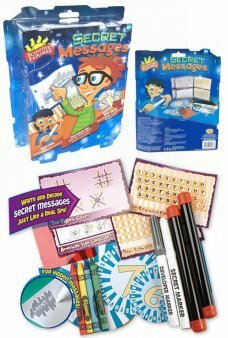 Collect all 6 colors and and make your own games! 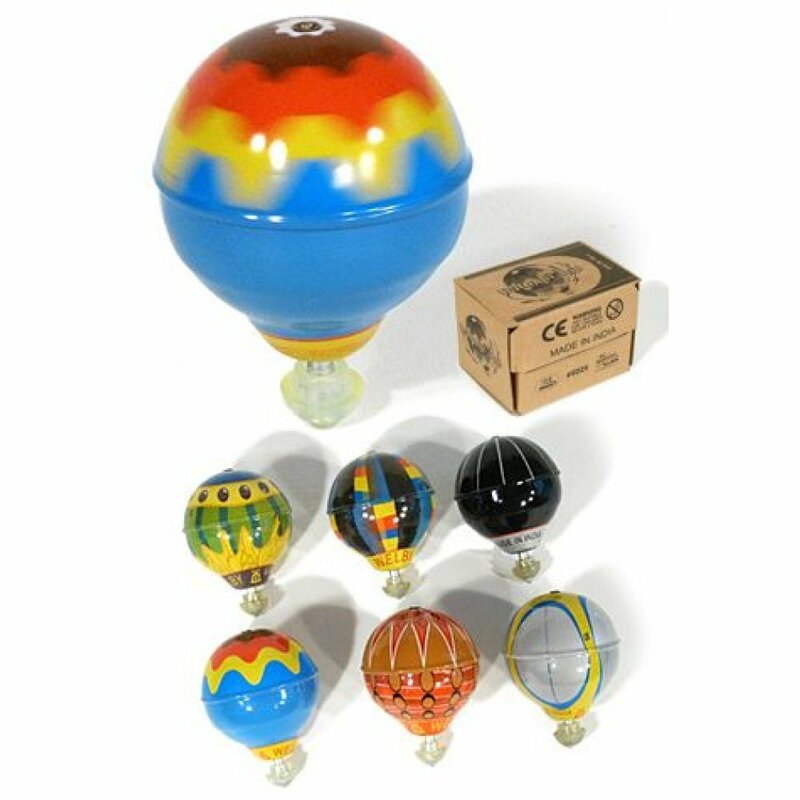 Our unique Balloon Tin Top Gyro is a member of the Tin Toy Treasures Collection - exclusively at TinToyArcade.com. 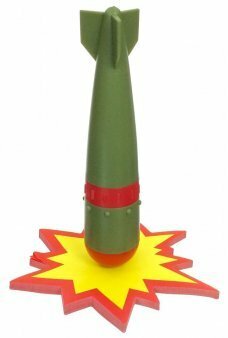 This retro bomb stands on an explosion note pad. Just pop off the weighted bomb nose to find a..